Life Can be Hard on Joints, Especially Your Knees. Although knee problems can result from injury or trauma, as we age we are most likely to experience knee pain caused by osteoarthritis. This is sometimes called “wear and tear” arthritis because the cartilage, the soft tissue that cushions and protects the bones in the knee, gradually wears away, much like the tread on a tire. Eventually the cartilage is gone and bone rubs against bone. This causes almost constant pain and limits your ability to walk, work or perform even simple activities. The good news for bad knees just keeps getting better and better. Some patients may qualify for same day or outpatient surgery and can check in before breakfast and be home in time for dinner! Our compassionate, competent orthopedic surgeons perform same day Partial Knee Replacement (Resurfacing) at Largo Medical Center’s Florida Knee & Orthopedic Pavilion. The guest and their family can enjoy all of the Florida Knee & Orthopedic Pavilion’s hotel-like amenities that in-patients do but with the added benefit that they can sleep in their own bed right after surgery. How does it work? If you qualify for same day Partial Knee Replacement (resurfacing), our concierge will provide you with an informative brochure about what you and your family can expect and give you a pre-op courtesy call to answer questions. Upon check-in guests and their family are given a comfortable private room to keep belongings and prep prior to surgery. While the patient is going through surgery, the family can dine, check the internet, play games or watch DVDs, even grab a cappuccino. After surgery, the patient and their family can go back to their room for recovery and discharge. The next day, a home health care worker will visit for dressing change and exercises. Our staff will follow-up by phone. Whether your surgery is same day Partial Knee Replacement or in-patient (Total Knee Replacement), the results are remarkable. The surgeons at the Florida Knee & Orthopedic Centers are experts in joint reconstruction, and for the last 20 years they have helped pioneer and perfect another minimally-invasive surgical option called Partial Knee Replacement (Resurfacing). Did you know that in most cases people who receive a Total Knee Replacement could have benefited from a Partial Knee Replacement? Learn if a Partial Knee Replacement could benefit you Today! Knees are like fingerprints in a way; no two knees are the same. 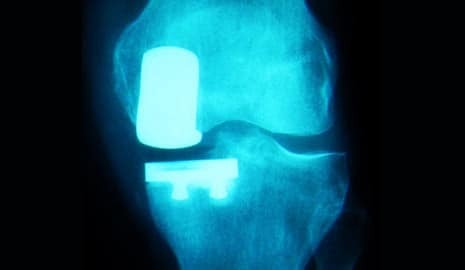 That’s why our expert surgeons are now offering personalized knee implants for patients that are candidates for partial knee replacements in well over 95% of people. When conservative treatments are no longer effective, knee replacement is a positive solution. Excellent results in terms of pain relief and restored movements can be expected in well over 95% of people. Some patients don’t need surgery for pain relief of the knee! The Florida Knee and Orthopedic Centers can provide hyaluronate injections in lieu of surgery for patients that do not have enough knee damage for surgery but aren’t having adequate results from normal pain killers and physical therapy. Avoid costly surgery and speed through recovery with Stem Cell Therapy. In many cases you are able to use your own stem cells to speed the healing process of damaged tendons, ligaments, cartilage, tissues, and spinal discs. Most procedures are able to be completed in the same day. 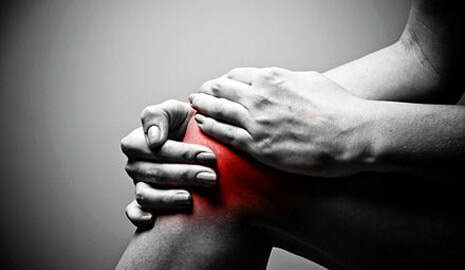 In its early stages, osteoarthritis can often be treated with medicines, injections and other non-surgical treatments. But once the cartilage is worn thin or is totally gone, these treatments fail to relieve the pain. When that occurs, the conventional treatment has been surgical reconstruction of the knee. The single most important series of facts that your physician uses to diagnose your problem is your history. This includes your “chief complaint” – what bothers you the most – the history of your present illness. The how, why, what, when, how long and your past history which includes treatments to date, other health problems, etc. is the trail of clues that lead to the diagnosis. It is estimated that up to 90% of diagnoses can be made if your physician takes an exhaustive history. The typical history of a patient with early osteoarthritis of the knee includes a chief complaint of: “My knee hurts” and a present illness story of 3 months of slowly increasing swelling and stiffness in the knee with no injury. Your physician uses the elements of the examination to confirm the diagnosis made by history or to add facts to make the diagnosis and to establish the extent of the illness. In the moderately affected arthritic knee, some restriction of motion is typical. The knee cannot fully straighten or fully bend. The knee usually has heat in it and a small amount of fluid. 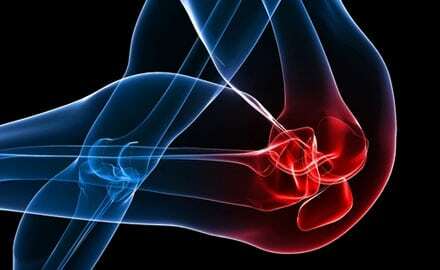 The arthritic area in the knee is usually tender to the touch. What Do the X-rays Show, Doc? Cartilage is the gristle-like cushion between the bones. Narrowing in space between the bones is caused by loss of the cartilage cushion. Arthritis by definition is an illness of cartilage which causes the cartilage to be lost. The most common type of knee arthritis is the bowlegged type. The second most common type is the knock kneed type. The progression can be seen on the right. The least common type of knee arthritis affects the kneecap. For people who have knee pain without injury and who have not responded to cortisone shots or anti-inflammatory medicines, the MRI can detect a meniscus cartilage degeneration that cannot be seen on x-ray. Meniscus cartilage is a c-shaped shock absorber on each side which can become dried out and crumble as part of the process of osteoarthritis.